For Stuart Holt, opera is awe-inspiring storytelling and, in many ways, the Olympian limb of the classical arts. Director of the school programs and community engagement departments of the Metropolitan Opera Guild, Holt first came under the spell of opera early in life. 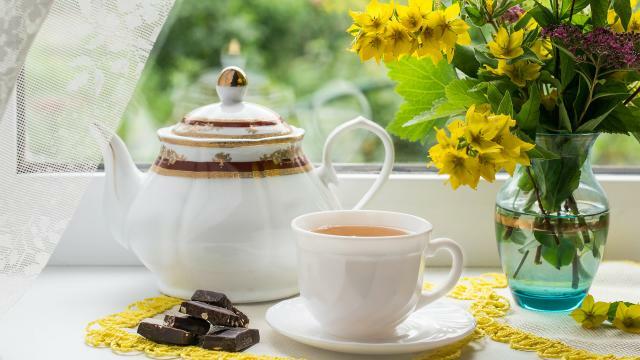 As a youth, he sang in a children’s choir outside of Milwaukee, Wisconsin, and appeared as a gingerbread child in the opera “Hansel and Gretel” with the Waukesha Symphony Orchestra. During one rehearsal, he felt “the power of the human voice” singing right into his 10-year-old ear, and that moment stuck with him. Holt eventually completed an undergraduate degree in vocal music education, wanting to teach, and then got a master’s degree in opera production with a focus on directing. After his school career, he was able to marry “the best of all possible worlds by working in education for opera companies,” he said. “I think that we can truly compare opera singers to modern-day Olympians,” Holt said. First, there is the sheer size of an opera singer’s voice. The vocalist must project into “a gaping black hole of the auditorium of two to four thousand audience members” and possibly over a large chorus as well, or at the very least, a small, 25-piece orchestra, but possibly one as large as 60 instruments. These singers are “launching a sound into space without a safety net. It’s a gold medal moment,” he said. Like athletes, singers train daily for years. They spend hours a day alone in a practice room or working with a voice teacher, vocal coach, or with an accompanist to review literature. “They need to stay vocally fit, prepared, and at the top of their singing game,” he said. The singers appear in huge, heavy costumes, under lights for two and a half to three hours at a time. The physically demanding nature of the effort is astounding, Holt said. Like athletes, these singers “qualify” for the next level of competition by performing in vocal competitions, working as Young Artists [in development programs], and coming up through the ranks. Some will play comprimario or smaller supporting roles, working their way up to principal roles. Others may work their way from smaller opera companies to larger ones, or play a role with a smaller company before appearing at a larger opera house. In another sense, opera is a theatrical visual and auditory experience taken to the “nth degree.” When the curtain goes up on The Met’s opening night of director Franco Zeffirelli’s “Turandot,” with its phenomenal gold set, huge cast, and glittering array of magnificent costumes, the audience spontaneously claps, he said. And unlike film, “opera is not canned,” Holt said. “There is no editing, no splicing, or computer-generated imagery.” An opera can never be repeated exactly, not even night to night; there is always a sense of anticipation that something new is about to happen. “It’s so exciting to see the live action onstage, where the performers get one shot and the audience recognizes that you had to be there when such and such happened,” he said. All of these grand elements and the anticipation of a live performance combine to give the audience the same electric feeling that viewers at the Olympics might have. Of the important distinctions between an opera and an Olympic event, one of the most obvious is that opera, like theater, is not intended to be purely competitive. It’s an art form that tells stories, and stories resonate with us because they mirror our lives. When Holt was involved in his first opera as a child, his emotional experience paralleled that of the story’s protagonists. When he felt the power of the voices singing in his ear, he felt a child-like wonder that matched the feelings of hungry Hansel and Gretel as they came out of a dark forest to see a magical house made of cookies, sugar, and candy: It was a feeling of awe. Classic operatic stories do that; they resonate with us and reflect back to us our own feelings or stories. “All operas are about choices,” Holt said. In “Hansel and Gretel,” the choices are “to run away from home, to eat the house of candy, to fight the witch. These mirror our lives,” he said. And because we constantly change and grow, each time we see an opera, we have a chance to gain something from it. In fact, we likely attend the opera wondering how this particular cast, director, and conductor will interpret the choices in a story so that we can see something fresh and reconnect with them. We don’t tire of “The Marriage of Figaro.” “We know the couple are trying to marry; we know the tricks they play, the mistaken identities and traps, but each production … is a different interpretation of that story, [told] through a different lens.” Each time we come back to it, we are at different points in our lives. As an adult coming back to “Hansel and Gretel,” Holt appreciated how the music supported the storytelling. “It was the power of the human voice that hooked me as a child, but now I hear how the orchestra fits so beautifully with the voice to enhance the story. 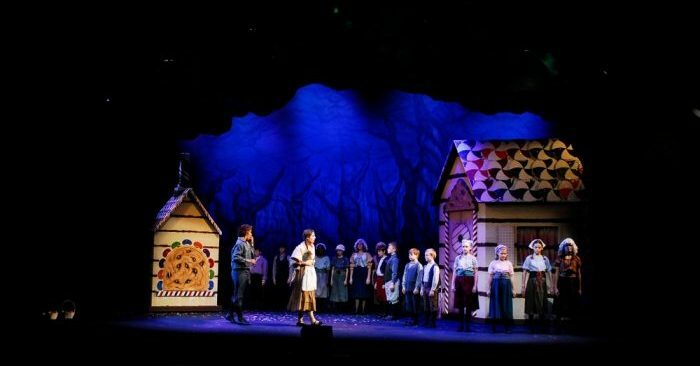 “And the story, in which Hansel and Gretel have to struggle to survive and then triumph through perseverance, allows “the audience [to] celebrate their success, wrapped in a stunning and lush musical score,” he said. Bringing these resonant stories to us through its tremendous power and scope, opera amplifies our theater-going experiences and enriches our lives.